Mhairi buys the jar	Mhairi buying her beads. So back in Stockholm, after a week of vacation in the beautiful Stockholm archipelago, it was time to buy the jars for the beads. The idea was to have two equal jars, and I was on a serious hunt for that special, perfect jar. that will preciously hold my life (in its hands). The practical me definitely wanted lids for the jars – Can you imagine all the dust 17,893 days would collect?! 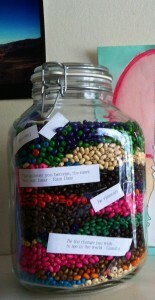 The task became more difficult than I had imagined since my beads needed a jar that would hold at least 3,7 liters. An employee in one of the stores asked me if I would consider to split whatever content I was going to put into the jar. Dividing the content wasn’t an option for me, because I see my future as a whole. It is something not yet lived. 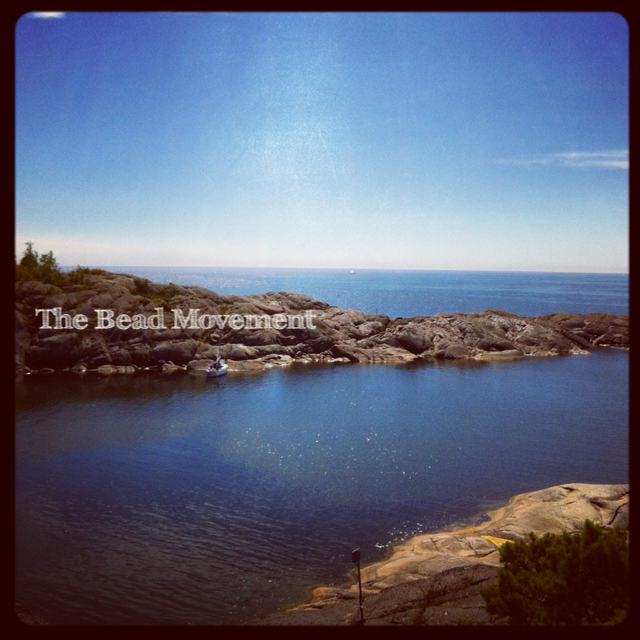 It’s an entity not yet divided in moments, days, weeks, months and years. So no. I needed to find that big beautiful jar. It’s one of those jars you use for pickled veggies or in my world something sweeter like peaches or pears. But after a few days of starring at the jar at my home (because I did buy it since it was the only one big enough), I realized that it quite perfectly fits my life. It’s practical, yet a container of all things delicious! It’s also a symbol that it’s not the exterior that matters, but the content. It’s not the looks, but the beauty within. It’s the story it holds. When contemplating this, it hit me – Am I always looking for that perfect one? 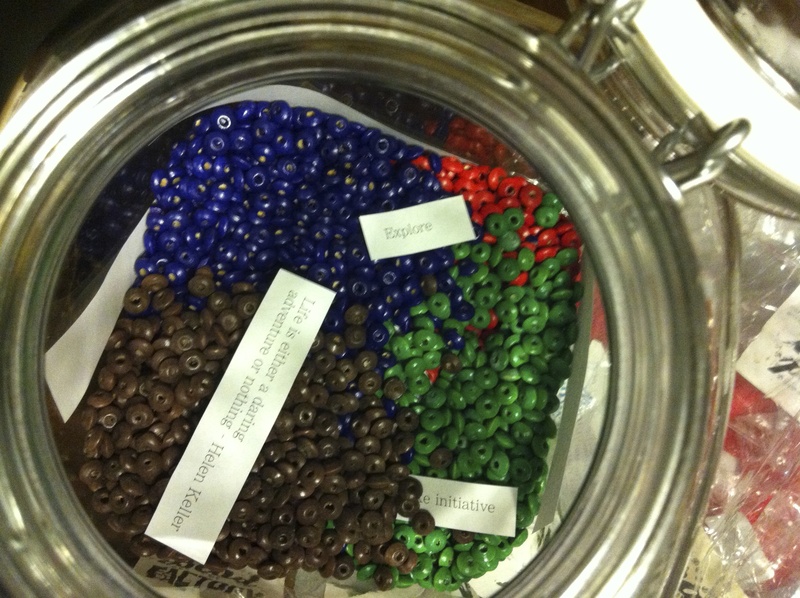 I had been looking for the perfect beads, the perfect jar, wanting the perfect life. It puzzled me a little. I love to have big dreams and all that, but maybe I’m putting too much pressure on both myself and the people around me. 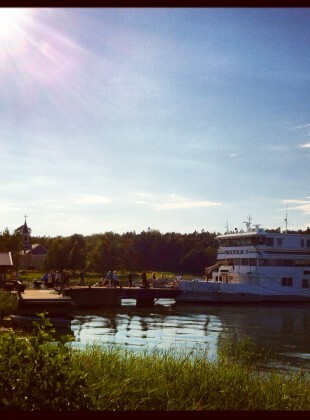 And after all, the lesson from last week was to let go of the need to control life. To know that I am, and do, good enough. That everything is already perfect, just the way it is. So this week’s lesson might be, that if I take my time to look at things for what they truly are, (not they way I might at the first glance perceive them to be) I will see that they are perfect, just the way they are. Instead of getting two identical jars, I decided to go with a small bottle for the beads I will take out each day. Since this will be my time spent, it has been lived in moments, days, weeks and months. So in contrary to my statement above, it has already been somehow divided into parts of my life, into memories. Instead of buying all the bottles at once, I want time to have an impact on the design of the bottles. So I will buy new ones as the project goes along. I will also mark them with the dates. Mhairi had a beautiful idea, to put small notes into the bottle that reflects what was going on during that specific time of our lives. Love that! 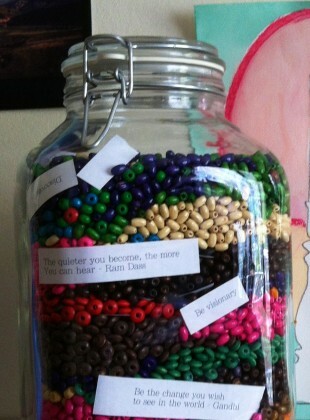 Besides filling my jar with the beads, I wanted to add words of importance, keywords for what I want my life to be like. I also wanted to blend in some short, but beautiful quotes that can give me a direction or a reminder of what’s important. 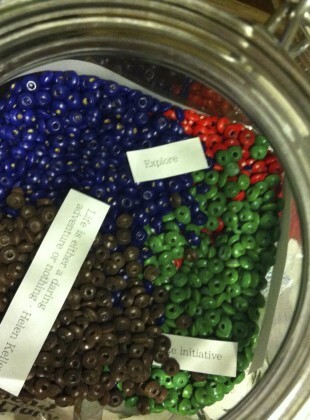 Then I started to fill the jar with the beads, the words and the quotes. It was a moment of butterflies in my stomach. I was so aware of that the only thing that will happen with my jar of beads from now on, is me taking one out each day. This is as full as my life gets. My time is shrinking. Now when I look at my jar of beads, as it sits on my cupboard, I look at it with respect and love. It’s my whole life, my unknown future, the days of my life. 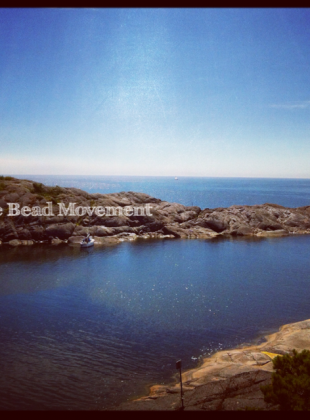 One thing I know for sure is that it has already sparked a new energy, a courage I didn’t have before. I want to treat my life with the outmost care and love. I want to protect it and hold it sacred. I want to stay true to myself no matter what, and by doing that, I believe I can live my dream. I already am.